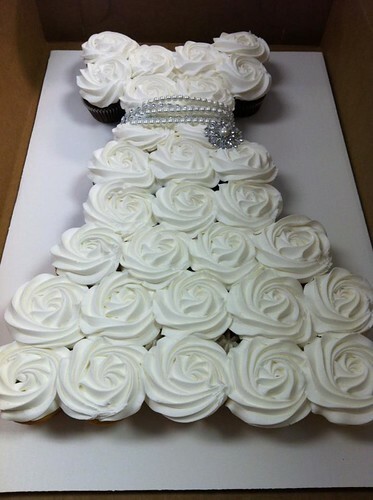 Cortland, New York bakery Frosted made this cupcake cake dress for a bride to be! Beautiful. From their Facebook page. Contact them at frosteddelight at yahoo.com or 607-662-4200. Via Blue Sheep Bake Shop on Facebook.